Recording engineers and the staff of the Fraser Performance Studio at WGBH in Boston. The broadcasting bug first bit Jon Frank at age seven when his father took him on a tour of the NBC studios in New York City. By age, 16 Jon was working at the Trinity College student radio station and, in 1971, Jon joined the New York University student radio station while pursuing a degree in film and television. Upon graduating from NYU Jon came to New England as Chief Engineer of WCOD on Cape Cod. From there he moved to Boston working at WVBF and WJIB before landing at WHDH radio where he advanced to the position of Chief Engineer. In 1987, Jon moved in to television at Channel 68, Channel 7, and Cramer Video productions. In 1991, Jon joined the engineering staff at WGBH. 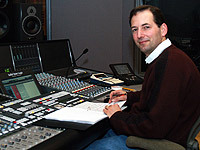 Jon helped plan and supervise the construction of the WGBH Radio facilities including the installation of the SSL C200 music-mixing console. Robin Moore has been at WGBH since 1998. She is an electrical engineering graduate from Brown University and has also studied music production and engineering extensively at the Berklee College of Music. She has been engineering music recording projects since 1988, and her complete audio engineering discography includes projects for major labels like Sony/Epic Records and Motown Records. 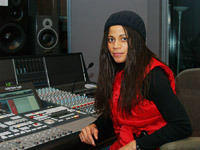 Additionally, she is a musician and composer with a strong background in MIDI computer music and keyboard instruments. Antonio Oliart has been at WGBH since 1995. His training includes a Masters of Music degree in flute performance from The Mannes College of Music in New York City. He also holds a Masters Degree in Sound Recording from McGill University in Montreal, Quebec. He has produced CD's for labels such as Analekta Records, Warner in Japan, Centaur, Hungaroton and has worked for Philips, Erato, Teldec, Telarc, Koch International, Deutsche Grammophon and many other record companies as a recording engineer, editor and mastering engineer. Antonio has won several awards for his work at WGBH including three New England Emmy awards for outstanding individual achievement in audio. Miles Smith has been involved in the design and construction of dozens of studios, including radio broadcast studios, recording studios, and post-production facilities in New York, Boston, Washington DC, Haiti and Grenada. Miles is the recording and mastering engineer for the NPR program Selected Shorts. He is the Chief Engineer for the Spanish Beisbol Network, and works with This American Life as a technical consultant. He has been tech director of several radio conferences and music festivals, and has engineered three Grammy nominated records. He has done stereo sound gathering for radio productions in Wyoming, Texas, Vermont, Kenya, Zimbabwe, Ethiopia, Pakistan, India, and many other locales.